The deal would reduce the number of wireless carriers with national coverage from four to three, and is sure to face close regulatory scrutiny. It also removes a potential partner for Sprint Nextel Corp., the struggling No. 3 carrier, which had been in talks to combine with T-Mobile USA, according to Wall Street Journal reports. AT&T is now the country’s second-largest wireless carrier and T-Mobile USA is the fourth largest. The acquisition would give AT&T 129 million subscribers, vaulting it past Verizon Wireless’ 102 million. The combined company would serve about 43 percent of U.S. cellphones. For T-Mobile USA’s 33.7 million subscribers, the news doesn’t immediately change anything. Because of the long regulatory process, AT&T expects the acquisition to take a year to close. But when and if it closes, T-Mobile USA customers would get access to AT&T’s phone line-up, including the iPhone. “We know the results of arrangements like this – higher prices, fewer choices, less innovation,” said Public Knowledge president Gigi Sohn, in a statement. T-Mobile has relatively cheap service plans compared with AT&T, particularly when comparing the kind that don’t come with a two-year contract. AT&T CEO Randall Stephenson said one of the goals of the acquisition would be to move T-Mobile customers to smart phones, which have higher monthly fees. AT&T “will look hard” at keeping T-Mobile’s no-contract plans, he said. AT&T’s general counsel, Wayne Watts, said the cellphone business is “an incredibly competitive market,” with five or more carriers in most major cities. He pointed out that prices have declined in the past decade, even as the industry has consolidated. In the most recent mega-deal, Verizon Wireless bought No. 5 carrier Alltel for $5.9 billion in 2009. Stifel Nicolaus analyst Rebecca Arbogast said the deal will face a tough review by the Federal Communications Commission and the Justice Department. She expects them to look market-by-market at whether the deal will harm competition. Even if regulators approve the acquisition, she added, they are likely to require AT&T to sell off parts of its business or T-Mobile’s business. Verizon had to sell off substantial service areas to get clearance for the Alltel acquisition. To mollify regulators, AT&T said in a statement Sunday that it would spend an additional $8 billion to expand ultrafast wireless broadband into rural areas. Instead of covering about 80 percent of the U.S. population with its so-called Long Term Evolution, or LTE network, AT&T’s new goal would be 95 percent, it said. That means blanketing an additional area 4.5 times the size of Texas. The network is scheduled to go live in a few areas this summer, but the full build-out will take years. The offer would help the FCC and the Obama administration meet their stated goals of bringing high-speed Internet access to all Americans. They see wireless networks as critical to meeting that goal – particularly in rural areas where it does not make economic sense to build landline networks. AT&T said its customers would benefit from the cell towers and wireless spectrum the deal would bring. In some areas, it would add 30 percent more capacity, AT&T said. “It obviously will have a significant impact in terms of dropped calls and network performance,” Stephenson said. AT&T would pay about $25 billion in cash to Deutsche Telekom, Germany’s largest phone company, and stock that is equivalent to an 8 percent stake in AT&T. Deutsche Telekom would get one seat on AT&T’s board. Like Sprint, T-Mobile has been struggling to compete with much larger rivals AT&T and Verizon Wireless, and its revenue has been largely flat for three years. Bellevue, Wash.-based T-Mobile USA’s subscriber count has stalled at just under 34 million, though it posts consistent profits. Deutsche Telekom has been looking at radical moves to let it get more value out of its U.S. holding, including a possible combination with a U.S. partner. There was a big hurdle to a T-Mobile USA-Sprint deal: The two companies use incompatible network technologies. The same hurdle would apply in a Verizon Wireless-T-Mobile USA deal. But the networks of AT&T and T-Mobile use the same underlying technology, so to some large extent, AT&T phones can already use T-Mobile’s network, and vice versa. The deal has been approved by the boards of both companies. Dallas-based AT&T can increase its cash portion by up to $4.2 billion, with a reduction in the stock component, as long as Deutsche Telekom receives at least a 5 percent equity ownership interest in the buyer. 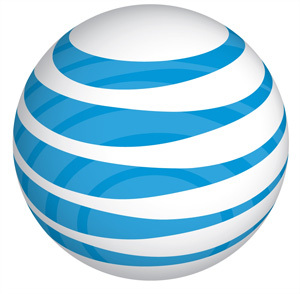 The agreement doesn’t leave room for other buyers to jump in with a higher bid, AT&T said. AT&T would finance the cash part of the deal with new debt and cash on its balance sheet and will assume no debt from T-Mobile.